According to the American Heart Association, hypertension is now defined as any blood pressure above 130/80. Previously, the hypertension “standard” was blood pressure greater than 140/90, and many physicians did not treat until patients had consistent readings above this number. However, the most current research suggests that patients are incurring health issues and inflicting serious damage at lower pressures. The most publicized issues caused by prolonged hypertension are stroke and heart attack. 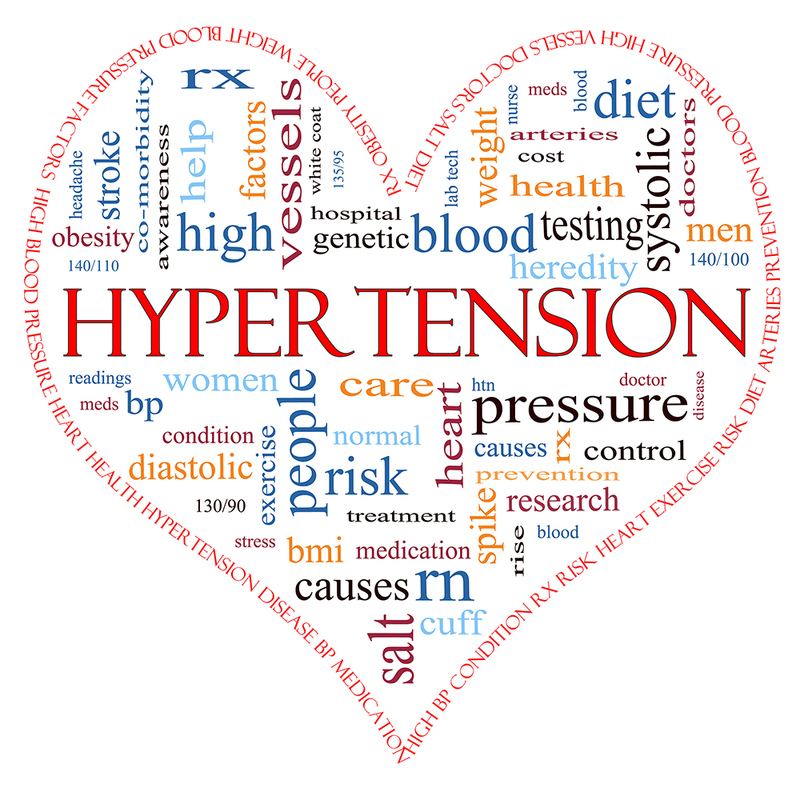 Other potential outcomes of prolonged hypertension are vision loss, heart failure, kidney disease and failure. Nearly half of Americans have high blood pressure, many undiagnosed. This occurs because generally there are not obvious symptoms until the prolonged hypertension is causing damage to a system. Why is this important to stroke? 80% of strokes are preventable. High blood pressure is the single leading cause of stroke, and is considered a controllable risk factor. The first step in managing your blood pressure is knowing what your numbers are. 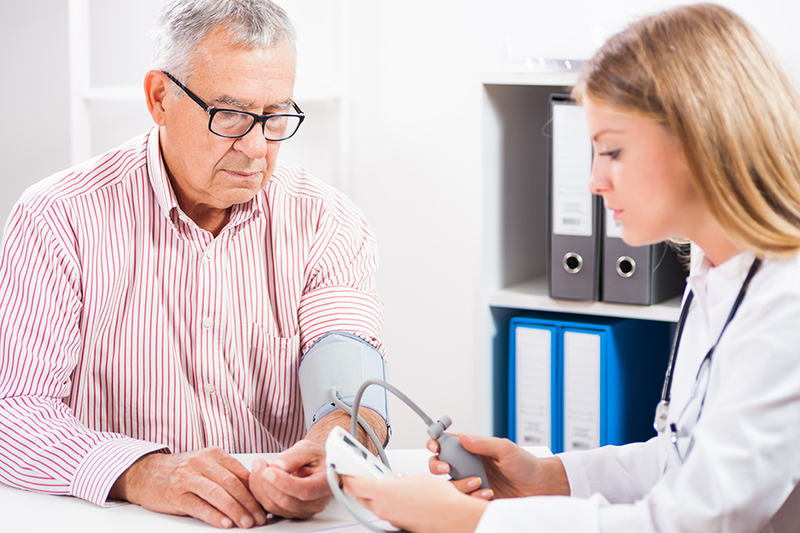 See your primary health care physician and if you get a high blood pressure reading, check it on your own several times, at different points in the day. Blood pressure cuffs are available at most drug stores for low to no cost depending on your insurance, and many clinics have free machines available to check your pressures there. Once you have several different readings, report these results to your doctor. Because we are seeing organ and system damage happening sooner with prolonged hypertension, physicians are treating hypertension more aggressively. A healthy diet low in salt and processed fats will help lower your blood pressure along with regular exercise. It is also important to manage your cholesterol, so if you don’t know your cholesterol numbers or don’t understand what good vs bad cholesterol is, consult your healthcare provider. If these interventions are independently not enough to bring your blood pressure down to below 130/80, you may require medication. Don’t be afraid to ask your doctor about your treatment options, and know your risks. You can prevent the single leading cause of stroke when you are armed with the appropriate knowledge and are given the appropriate tools. Here at Good Shepherd Hospital, we want you to be armed with the information that allows you to make the best possible healthcare decisions based on the most current information available.